There is no doubt that Alexander Hamilton is one of the most compelling of America’s Founding Fathers. Students of American history will recognize Hamilton as the notorious rival to Thomas Jefferson – or perhaps as the prime force behind The Federalist Papers and the nation’s first Secretary of the Treasury. Ron Chernow catalyzed modern interest in Hamilton with his 2004 biography “Alexander Hamilton.” Lin-Manuel Miranda’s Broadway production of “Hamilton,” inspired by Chernow’s biography, and has only accentuated Hamilton’s reputation. 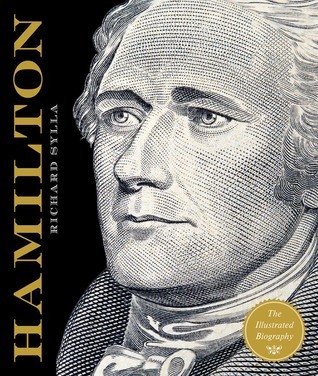 Now, for everyone interested in this flawed but fascinating historical figure, comes Richard Sylla’s “Alexander Hamilton: The Illustrated Biography.” There are few (if any) reviews of this book out as of the release date…but I must admit it looks fascinating. I’m still embarked on my journey through the Best Presidential Biographies but rest assured that Alexander Hamilton is one of the first non-presidents about whom I will be reading once I finish my current POTUS-adventure! If you happen to read this – or any – biography of Alexander Hamilton, please let me know what you think!